One of the things I learnt after my challenges – a lovely euphemism for ‘my breakdown’ – over recent times is to be clear about what makes you happy and what keeps you well and to do as much of that as possible. Mot of us do not sadly have the financial resources to be so independent we can do anything we want all the time – we have mortgages to pay and jobs/work to do to help play bills and put food on the table. But, with the right range of choice made, we can find a balance in life that limits the stressful, unpopular stuff we have to do to a minimum. I have learnt that there is no way of totally eliminating stress and anxiety and I’ve learnt that trying to change my personality is neither helpful, desirable or possible. Instead, it is better to focus on accepting the stuff you cannot change and trying to create time to focus on the activities that bring you the most happiness and wellbeing. This is not rocket science and is easy to write but not always easy to achieve. This week is a good case in point. As I have written before, I know that I will work at my mental health for the rest of my life – I cannot foresee a time when I was be “better”. That is not how it works. I will always be someone who is susceptible to anxiety and related issues but I am now fine with that. I understand it. I accept it. I work with it. I don’t allow that fact to stress me out or bring me down. I also know that despite feeling in good form, there will be days when I am off form; when I am not feeling myself. The trick – that is a poor choice of words as there is not trick but more a toolbox in which all the tools need to be deployed from time to time – is to think about it and make some conscious choices about how I spend my time. Or to mangle a famous line from Forest Gump; life is a box of biscuits, in which we should enjoy every one! If the truth be known I am little anxious about my PhD at the moment. Not because I’m not enjoying it or it’s not going well, but because I have some key things to get done and I am yet to do them – I am yet to master the tasks at hand. That is fine and is not the end of the world but it is causing me the occasional moment of concern. The old me would not have spotted this – I would have either ignored it or just ploughed out with busyness and stress until I (hopefully) felt better, or not. The current me, knows that is the time to get out the toolbox and get to work. More exercise. Sleep. Reading. Music. Fresh air. Going to Mass/finding some quiet time. Watching Liverpool (I’m off to the match tonight). Golf. Eating well. Keep the alcohol and caffeine to a manageable amount. Breath deeply. Walk slowly. Hug my girls. Be with my girls. Look at my girls. These are all the tools that help return me to form, relax me, remind me why my bout of anxiety is to be accepted and embraced, not fought. We are a few days from Christmas – I know this because I’ve been listening to Christmas songs for the last few days and hearing far too much of Cliff Richard’s voice when I go into shops – and a break from work, teaching and the normal routine of school runs. This is welcome – especially seeing more and more of Miss and Dr J but I know too it is a time when it is easy to allow this change in routine to let the good habits of wellbeing slip off the agenda. I know from bitter experience what a big mistake that is. 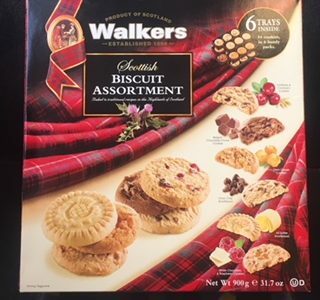 It is a time of goodwill to all; that means being good to yourself too; looking are yourself; reaching for the toolbox and that box of Walkers shortbreads.